We can hardly fail to notice that more and more traditional industries are facing (and responding to) the challenges and opportunities posed by the onward march of digital. Some are dealing with it better than others, of course…. Here’s three of my favourite examples of the new wave of websites dedicated to helping traditional structures embrace the possibilities offered by digital and social media. 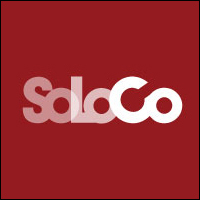 SoLoCo deal in what they call “social crowdfunding”, claiming to be the very first crowdfunding website in the UK dedicated to the Third Sector. There are a few others doing similar things already (Kiva, LendWithCare), but in terms of UK presence they’re the new kid on the block and have certainly been making a fair bit of noise. Each organisation that registers on their site has a limited time period in which to ask for donations up to a maximum of £5000. They don’t have to be a charity, but they do have to benefit the community, and be based in the UK. There’s a lot of emphasis put upon communication and storytelling – the projects are advised to utilise video, photos and social media (particularly Facebook) in marketing their appeal as well as communicating with donors. The Girl Geeks Edinburgh project is a particular favourite! In the world of writing and publishing, the impact of digital and social media isn’t limited to discussions of the impact of the e-book upon traditional models of publishing and distribution. Many authors now acknowledge that they need to be online in one way or another – not just in terms of communicating with fans, but of developing their craft. LitReactor is a rich online resource for writers, offering online classes, a subscription-based workshop in which to post your own work and critique the work of others, as well as a magazine, and forum. The Neil-Gaiman-approved site works as a kind of social network for writers, and certainly a lot of thought’s gone in to how to construct the Writer’s Workshop so as to be an encouraging and engaging space in which writers can develop their work. Proving that musicians don’t need a traditional record label, www.corporaterecords.co.uk is “designed to reflect the music market that exists and to make it easy for artists to get all they can from it”. Set up by The Indelicates, a Lewes-based band with a penchant for biting punk-folk lyricism and a fairly intense dislike of the manner in which the traditional music industry works, Corporate Records works on the basis of cutting out the middle man entirely when it comes to the distribution of music. Once signed to the label, musicians upload tracks to the site, set their own prices (which can include the very popular “pay what you want” model), retain ownership of their music, and receive 80% of revenues after PayPal costs. It’s a great example of how the internet can be used to allow artists and musicians to retain control of their work and their careers.